Showtime had a great night as Dexter scored its highest-rated season opener ever with 2.4 million viewers for its season seven premiere. Coming off a near-sweep at the Primetime Emmy Awards, Homeland was up 60% for its second season premiere with 1.73 million viewers. 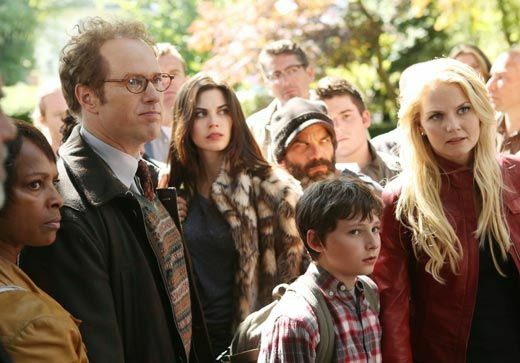 ABC’s Once Upon a Time returned incredibly strong with 11 million viewers and a 3.8 rating in the 18-34 demographic. 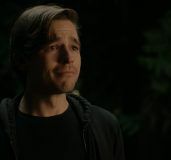 Also on ABC, the series premiere of the “haunted hotel” drama 666 Park Avenue couldn’t pull in big numbers, as the Terry O’Quinn-fronted show netted a 2.2 rating for 7 million viewers. 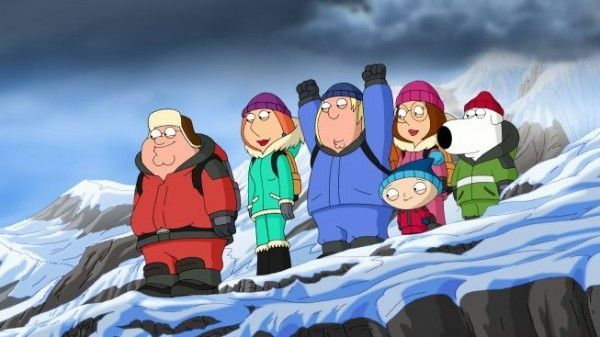 Hot on the heels of the news that creator Seth MacFarlane will be hosting this year’s Oscars, the season premiere of Fox’s Family Guy was down 20% from last year’s season opener with a 3.3 rating and 6.5 million viewers. Hit the jump for all of Sunday’s ratings including Revenge, American Dad, The Simpsons, The Mentalist, and more. 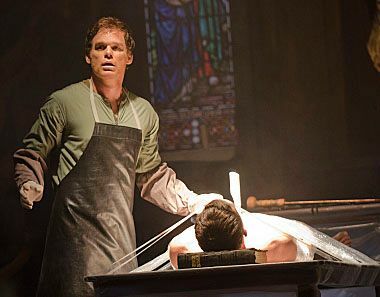 Showtime’s long-running serial killer series Dexter continued its crazy streak of going up in the ratings with each subsequent season premiere, as the season seven opener drew 2.4 million viewers. 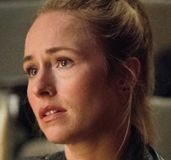 Last season’s game-changing cliffhanger probably had a bit to do with the large numbers, but reviews for the new season have been highly positive coming off of a lackluster season six. The Best Drama Series (and Best Actor, and Best Actress, etc.) Emmy-winner Homeland was unsurprisingly way up for its season two premiere, scoring 1.73 million viewers. That marks Showtime’s most-watched season two premiere ever and is a new series-high for Homeland. The second season of ABC’s fairy tale drama Once Upon a Time kicked off with very strong numbers for a 3.8 rating with 11 million viewers. 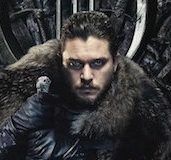 The show not only bested all non-sports programming on Sunday in total audience numbers, but also in the coveted 18-49 demo. The addictive soap Revenge began its second season with fairly strong numbers, netting a 3.2 rating in the demo for 9.5 million viewers. That’s a fine performance for the show in its new time slot, up 33% from its season one finale ratings. The new genre series 666 Park Avenue, however, didn’t fare as well. The show dropped 30% of Revenge’s numbers, landing a 2.2 rating for 7 million viewers with its series premiere. The critically lauded The Good Wife landed its lowest rated season opener ever, with a 1.8 rating in the demo and 9.8 million viewers. That’s down 18% from last season’s premiere. 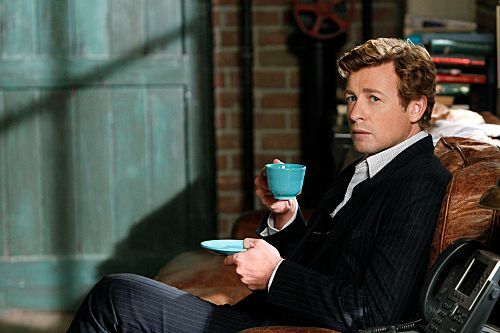 The Mentalist also scored its lowest premiere numbers ever, garnering a 2.1 rating in its new time slot with 10.8 million viewers. The 25th season of The Simpsons kicked off with a strong 3.7 rating and 8 million viewers, down slightly from last year’s season premiere. Good news for Bob’s Burgers fans, as the show was up 32% from its previous premiere with a 2.5 rating for 5.4 million viewers. Kicking off the “Seth MacFarlane Hour” was the season premiere of Family Guy with a 3.3 rating and 6.5 million viewers, down 20% from last year’s season opener. The season premiere of MacFarlane’s American Dad was also down from last year with a 2.5 rating and 5.2 million viewers. That’s down 17% from last season’s premiere. Check back tomorrow to see how the season premieres of Homeland and Dexter fared, and we’ll also have ratings numbers for Monday night’s programming.